Newly renovated 2005. Easy access on/off I-26. Walking distance to several restaurants. Northwoods Mall and several restaurants within 2 miles. FREE Deluxe Continental Breakfast. Outdoor pool. 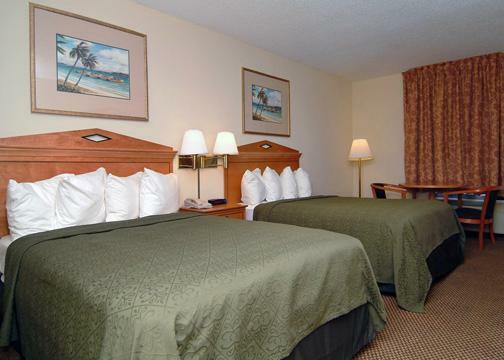 All rooms include FREE high speed Internet access, iron/board, microwave, refrigerator, in-room coffee and hair dryer. Meeting facility. Motorcoach parking. Safe Charge: 1.00/night(mandatory). Pet accommodation: 25.00 per pet, per night. Pet limit 2 pets per room.